Now place any .jpeg image inside the cpp_test folder. Hello! I am having the same error. Did you find any solution for this? Thank you, this really helped! Thanks. Can you also show how to use opencv in python using a simple example. Does this build also work for use in python. I followed the procedure above. For c++ it’s running fine but for python its throwing error. What mistake I am doing. Please solve this. Thanks for sharing~ It success on my computer. Its missleading, please correct it. My Installation was successful but now I have a big Problem, my Computer isn´t working anymore. When I´m starting the login comes up on my Ubuntu 16.04, then I type the right Datas. It shows me then only quick an Blackscreen with an error message(/dev/nvme0n1p2: clean, 359022/60407808 files, 9919453/241604864 blocks) and then it goes back to the login. gnome-session-binary: CRITICAL: We failed, but the fail whale is dead. Sorry…. CRITICAL: We failed, but the fail whale is dead. Sorry…. Hopefully can someone help me with my Problem. Hi. I followed all the steps mentioned above and it was completed successfully. But I am facing this error now.. Anyone knows the solution for this? You have to declare you opencv install system variables. I failed to install libjasper-dev and python3.5-dev too. 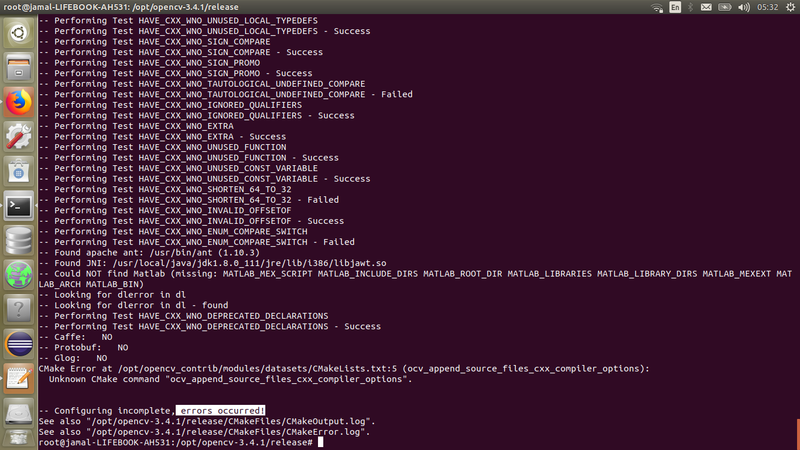 Attached Files CMakeOutput.log and CMakeError.log. hey same mistake ,how did you solve it? you have to manually install: https://ubuntu.pkgs.org/18.04/trinity-r14-builddeps-amd64/libjasper-dev_1.900.1-debian1-2.5ubuntu18.04.0+0_amd64.deb.html and it requires libjasper1. 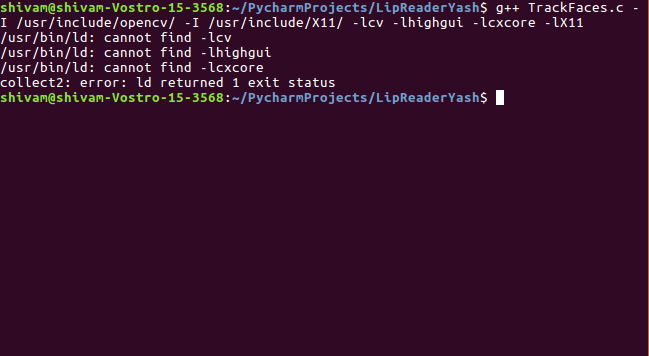 When I type the cmake command, it says : CMake Error: The source directory "/opt/opencv" does not exist. I created the directory and I am typing the command from inside it, so it’s really strange! I’m getting this error when trying to compile above code.